The commercial interests of the big companies on the one hand and the widely spread and accepted use of smartphones on the other hand influence the use cases of web based multi-screen games, too. So called branded games are games that are used as advertising tool for brands or products. They have been sold by advertising agencies for a long time now. This games are mainly used to grab the attention of potential customers and build up a positive attitude towards the product. The combination of the widely accepted smartphone as target devices and the positive group experience of multi-screen games lends itself to be used as an advertising instrument. A multi-screen game would be suited for advertising or information purposes at fairs and other events. Especially smaller minigames can be easily branded, extended with social media features and implemented cost-efficiently. A big screen may display the running game while visitors are able to play the game cooperatively or competitively with their smartphones. The size of the screen and the direct interaction of multiple players can help to grab the attention of even more visitors. High roaming charges for foreign visitors and high network latency can be a hurdle in this scenario. This can be avoided by setting up a local Wi-Fi hotspot exclusively for the game. The fair installation described above can be used as a shop window advertising as well. In this case a big screen or projector is installed behind the shop window while smartphone and tablet owners are able to play in front of it. This setting can be used as advertising instrument by department store chains and brand suppliers – for example in combination with a competition. There are digital advertising displays in almost every bigger city. With multi-screen games there could be added some interactivity to the displays. For example minigames like small quiz games could grab the attention of waiting people or pedestrians. In addition to the use cases mentioned above multi-screen games can be used in numerous other areas. You could think of art projects and experimental installations that make use of the new interaction modes of multi-screen games or use them as a new way of expression. Even multi-screen games with spatially separated players result in interesting new interface concepts. 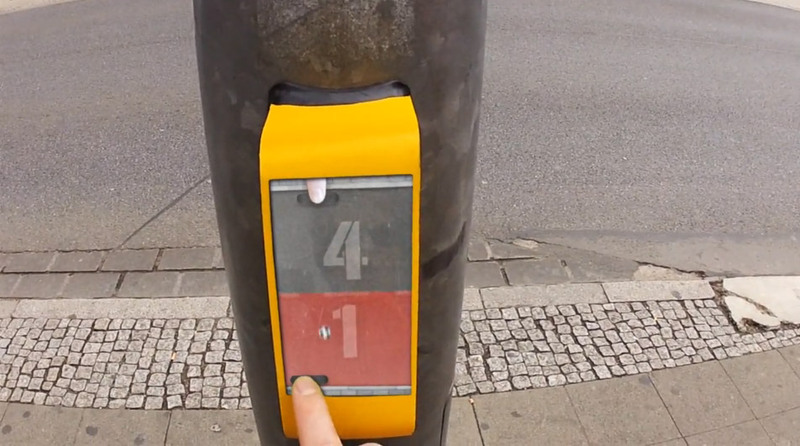 Streetpong by Sandro Engel and Holger Michel is a pong game that can be played during red phases of traffic lights. The project makes use of the spatial separation of the two players. Additional smartphones as input and output devices could be added to the game.